The parade takes place over a four-mile route on Sunday, June 26, 2016. The parade kicks off at noon on Sunday, June 26, 2016, at Montrose Avenue and Broadway in Uptown and ends near the intersection of Diversey Parkway and Sheridan Road in Lincoln Park. 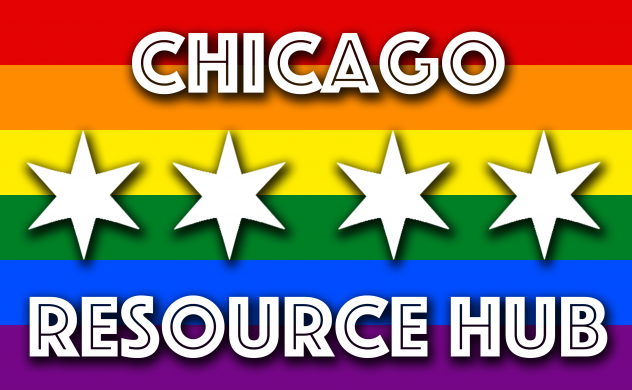 Pride Month in June is the culmination of Chicago’s vibrant LGBT community. The energy in the city peaks on Pride Weekend, which falls on the last weekend of June each year in commemoration of the anniversary of the Stonewall Riots. On Pride Frida and Saturday thousands will gather along Halsted for the two day festival. Stages of music, exhibitors, great food and drinks are available to enjoy. In the evening the revelers will pour into Boystown clubs and party into the wee hours of the night. The annual Pride Celebration commemorates the rebellion of LGBT patrons of the Stonewall Inn in New York City’s Greenwich Village in response to a routine police raid on June 27, 1969. The following year, a “Gay-In” that took place on June 27, 1970 that was the early progenitor of the current Pride Celebration. Since 1972, the event has been held every year, Since its modest beginnings, Chicago Pride has grown to be one the largest and most well-known Pride events in the world. Pride has come to symbolize several things: the long history of lesbian, gay, bisexual, transgender, and queer dignity, the freedom of all people to meaningfully and proudly express their sexual and gender identities, and the commitment of LGBT people to combating oppression.